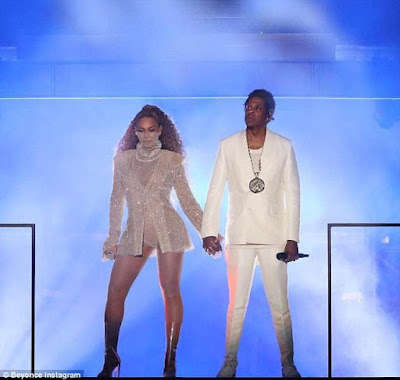 Beyonce and Jay Z sent the fans into a frenzy as they shared new and adorable photos with their twins Sir Carter and Rumi Carter when they began their 48-date On The Run II tour in the UK on Wednesday. The celebrity couple showed the family photographs on stage at the Principality Stadium in Cardiff in Wales. 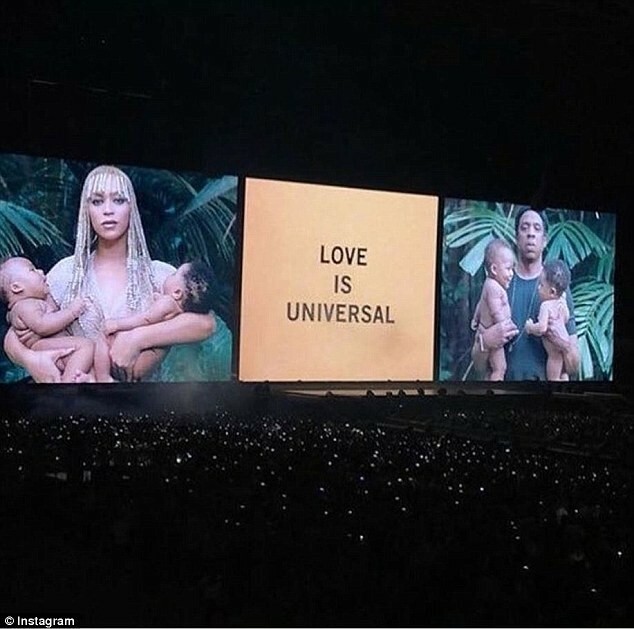 The singer, 36 and rapper 48, were seen cradling their children in the photos projected on a large screen with a message that said: "Love is universal." Sir and Rumi Carter, who were born on June 13, 2017, will complete one next week.